Clean water to drink and clean air to breathe; healthy lakes and rivers that are safe for swimming and fishing; preserved open spaces; clean sources of energy that don’t pollute and never run out — all this should be the heritage we leave to future generations. Our staff research the issues, educate the public and win tangible results. Protecting the air we breathe. Every Rhode Islander should be able to breathe clean air. But smog pollution from power plants and vehicles puts the health of our children and families at risk. Our report, Danger in the Air, shone a light on the smoggiest counties across the state and recommended solutions for cleaning up our air. A healthier future for Newport's beaches. Newport’s harbor and beaches are the pride of the Ocean State, but too often sewage pollution makes them unsafe for swimming and fishing. In 2008, our staff brought a pair of Clean Water Act citizens’ suits against the towns of Newport and Middletown to stop their illegal sewage discharges into Easton Bay and Newport Harbor. In 2010 and 2011 we won strong court settlements with each town, and they agreed to clean up their act. Environment Rhode Island Research & Policy Center gratefully accept bequests, beneficiary designations of IRAs and life insurance, and gifts of securities to support our work. 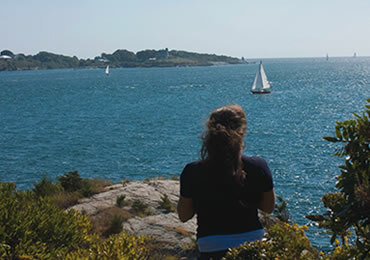 Your gift will assure that we can continue to protect Rhode Island’s air, water and open spaces for future generations.